Short videos and FAQs to get you up and running on our online portal. Andy Virgo, our business development manager for Southern England, walks you through how to generate a decision in principle step by step. 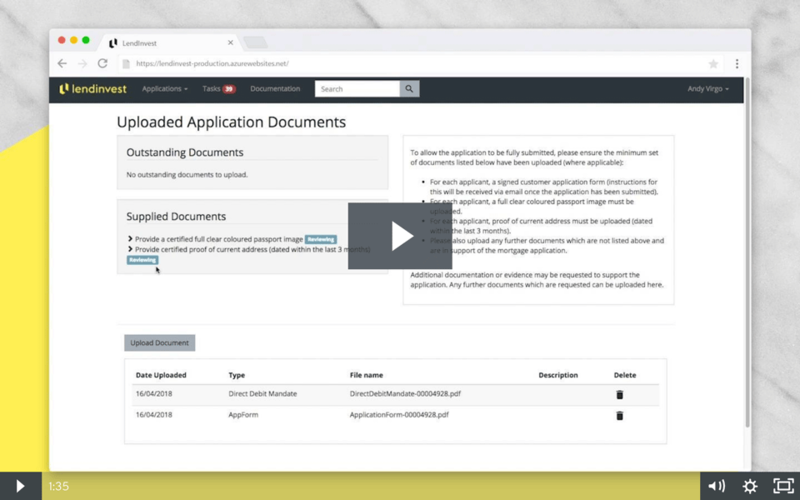 Watch our in-depth application process video tutorial, where Andy will guide you through how to submit an application via our online portal. 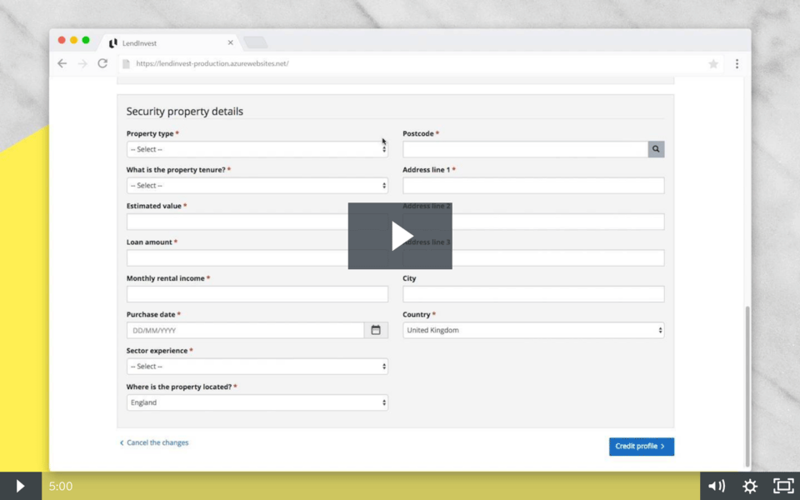 Andy explains the three ways to upload the borrower’s property portfolio to the online portal and walks you through an example. How do you verify the borrower’s identity? Once we have received the signed application from the applicant(s), they will receive a link from us to verify their ID on the Onfido platform. They will be asked to upload a photo of their ID (eg passport) and a selfie, and the results will be sent to your allocated case manager here at LendInvest. The whole process takes just 60 seconds, and can be completed on a smartphone, tablet or laptop. Please download our Buy-to-Let lending criteria for full details of our criteria. Working with digital identity verification specialist Onfido allows us to quickly verify the borrower’s identity with a photo of the document and a selfie. Find out more about our partnership with Onfido. The integration of Stripe means you can pay the valuation fee online as soon as we’ve received the signed application form, streamlining the process. Find out more about our partnership with Stripe.